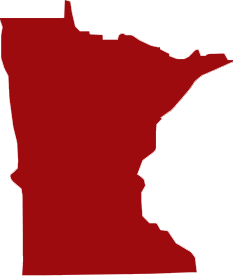 Minnesota Court Reporters | National Court Reporters, Inc. When you need to enlist the help of a qualified court reporter in Minnesota, National Court Reporters Inc will make sure you get the help you need. We staff only certified court reporters with an exceptional track record, including timeliness and reliability, thoroughness and accuracy of reporting, and experience on a wide range of cases. We set the standard for litigation support! Because we use industry-leading technologies like LiveNote™ and e-Transcripts™, you’re guaranteed transcripts that are thorough and precise—even annotated for the benefit of your case. These technologies also allow our Minnesota court reporters to work faster, delivering your collateral in a timely manner so you can build a better case, quicker. In addition, we can even offer peripheral services as your case demands, including depositions, video conferencing, process serving and much more. For the very best in court reporting in Minnesota, choose National Court Reporters Inc. Our success is built on yours and we take the utmost care to tailor our capabilities around your needs. Our services are available to legal professionals throughout the state and nationwide.